There are plenty of good habits in terms of interior design out there, but let´s not forget one of the most important one – industrial light fixtures !! This is the feature that can truly twist your project into a something special. Today we have any examples, for you to get a wide perspective of thing – to pure raw industrial until industrial chic! Let´s discover something new together. What a fantastic lighting design! Botti is one of the few suspension lamps that is 100% complete in terms of design and functionality. The inspiration in the musical instruments grabs everyone attention. Iron pipes are a key factor in the industrial style and using it as a group of the wall lamps are a fantastic conception! Different lighting ideas like this one only give more value to your project! Take a chance and you will be successful. The Vintage Industrial Style obligatorily must contain some rustic wood details! Big bulbs and woodwork are the perfect marriage in your summerhouse. Also, another material that is universally used in many schemes is glass! 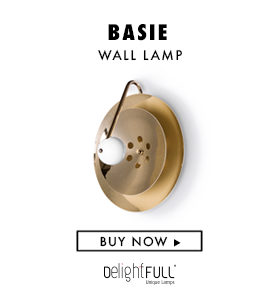 Have a look at this industrial lamp that perfectly matches the other kitchen peculiarities. Finally, if seek to give a touch of modernity to your industrial design, there are plenty of floor lamps that you can use! Popular Sinatra will remain for a long time as one of the most recognised in the market.